despite what kermit the frog sings to us, it’s easy being green. although this dessert has many components, it is rather easy to make, and would be perfect for a st. patrick’s day party. 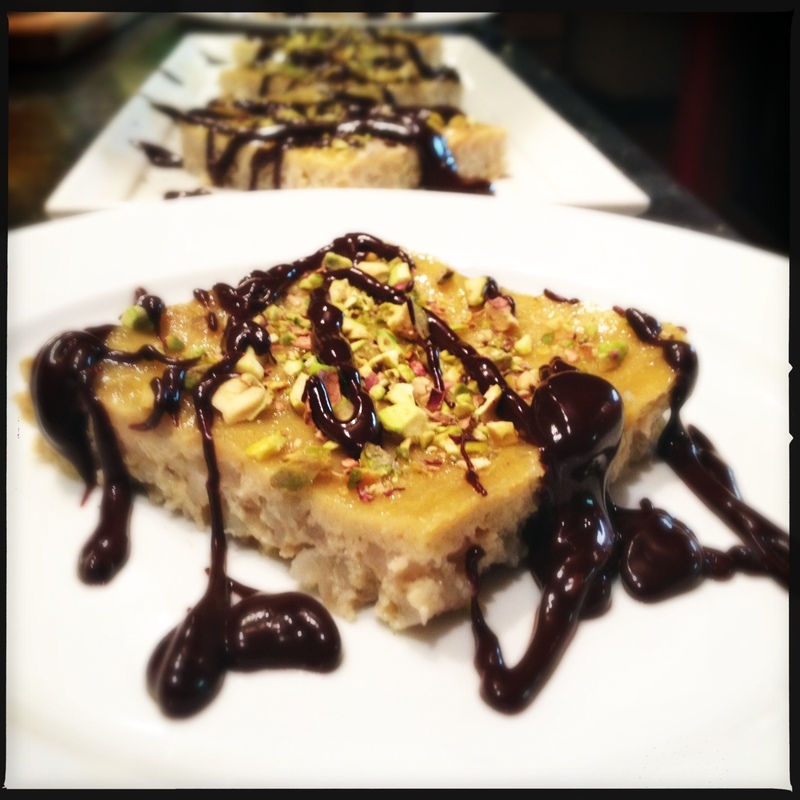 i used a few different green foods in this recipe: bamboo rice, cardamom, mint crystals, pistachos, and even a couple of the eggs had green shells. 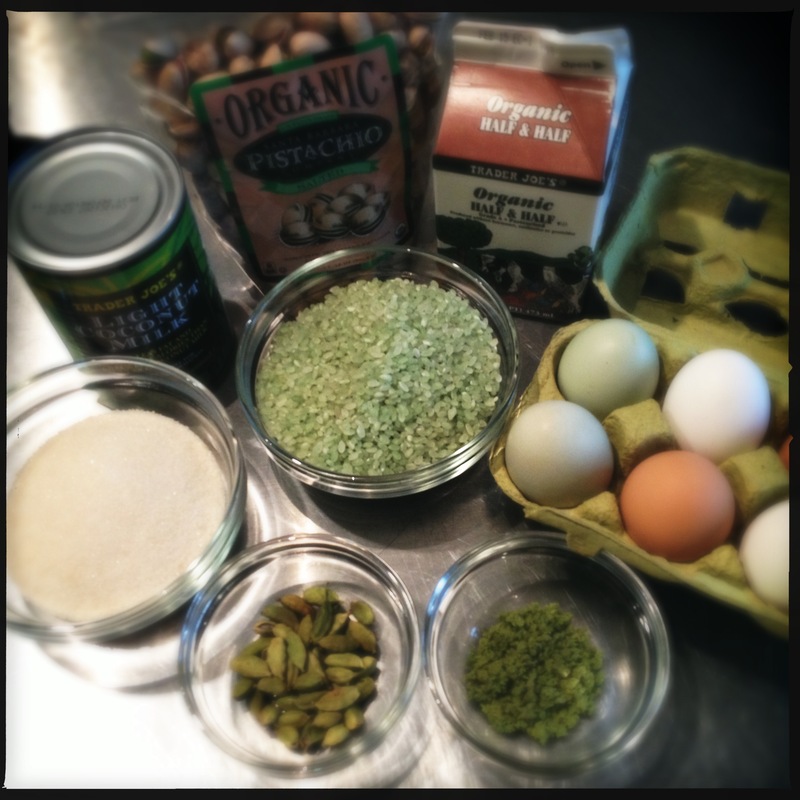 also, the pistachios and eggs were from local organic farms, so they were green in two ways, since buying local reduces your carbon footprint. 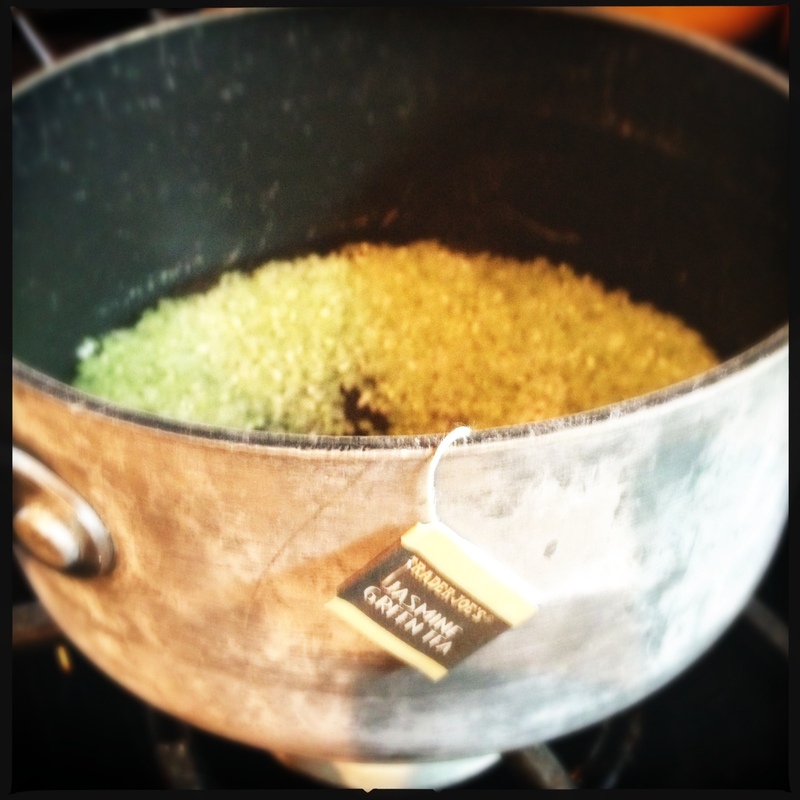 cook the rice (with or without the optional tea bag) until al dente. bamboo rice has a bit of a jasmine flavor and aroma to it so the tea bag just adds to it. fluff and set aside. 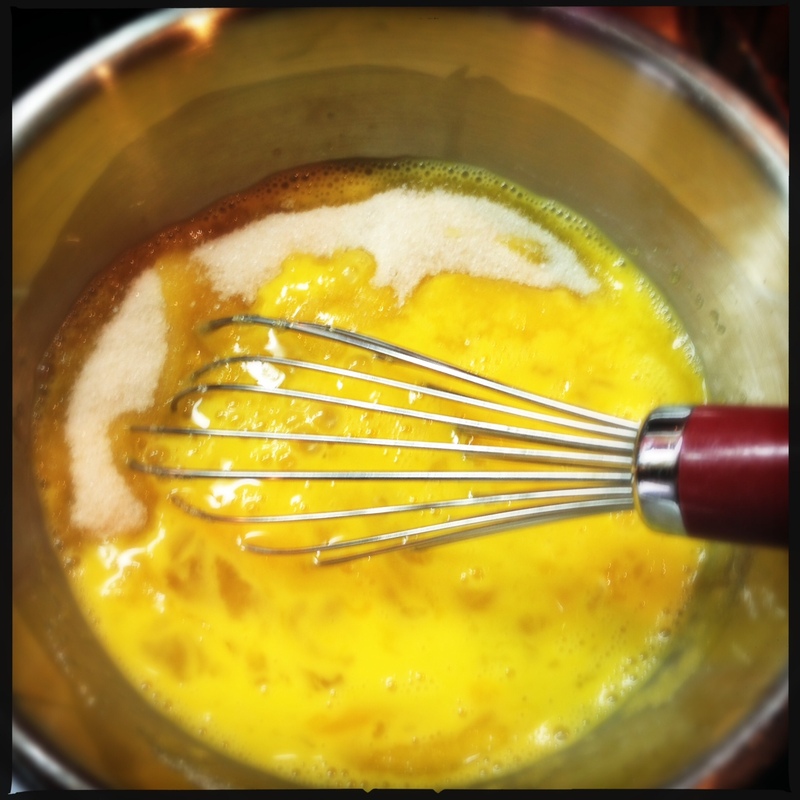 whisk the eggs and sugar well in a bowl until frothy. heat the half + half and coconut milk until it is just boiling. 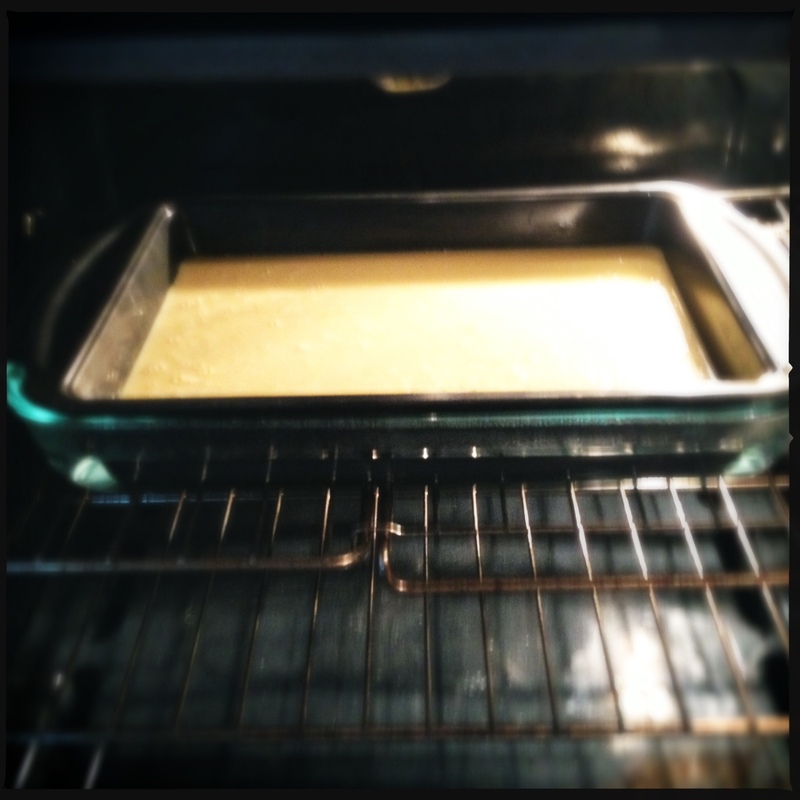 lower heat to low, and slowly whisk in some (1/4 cup) of it to the egg/sugar mixture. 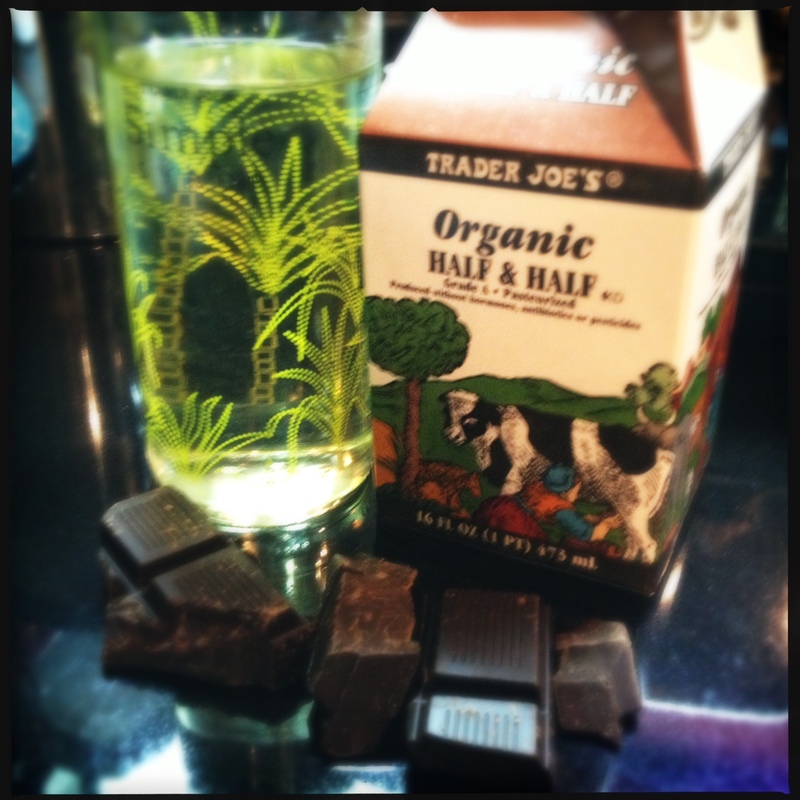 then whisk it back into the rest of the half + half and coconut milk. 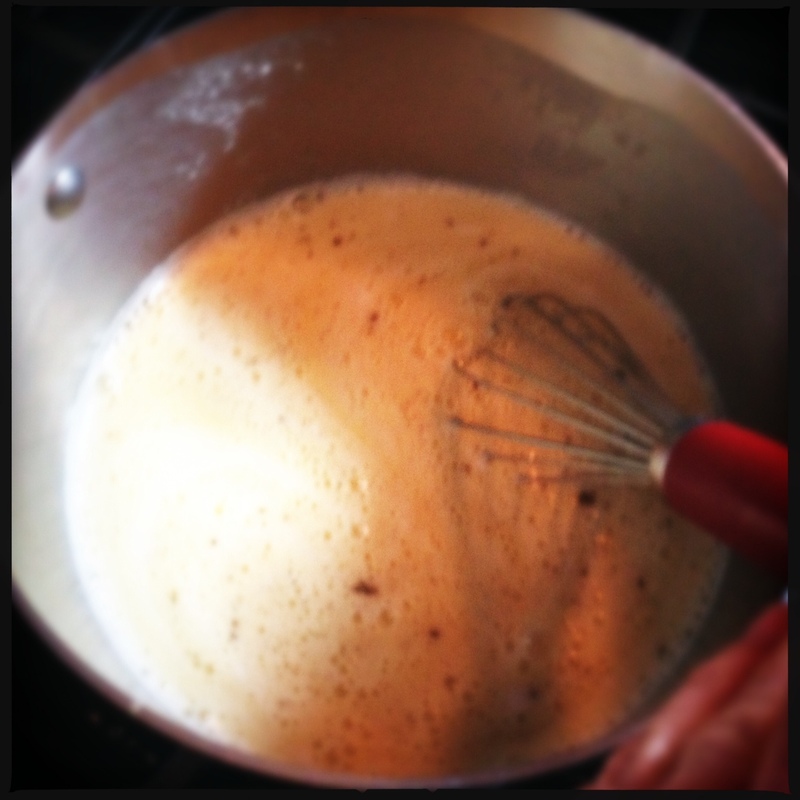 add the salt and cardamom, and whisk until all is incorporated. stir in the rice making sure the rice doesn’t clump. 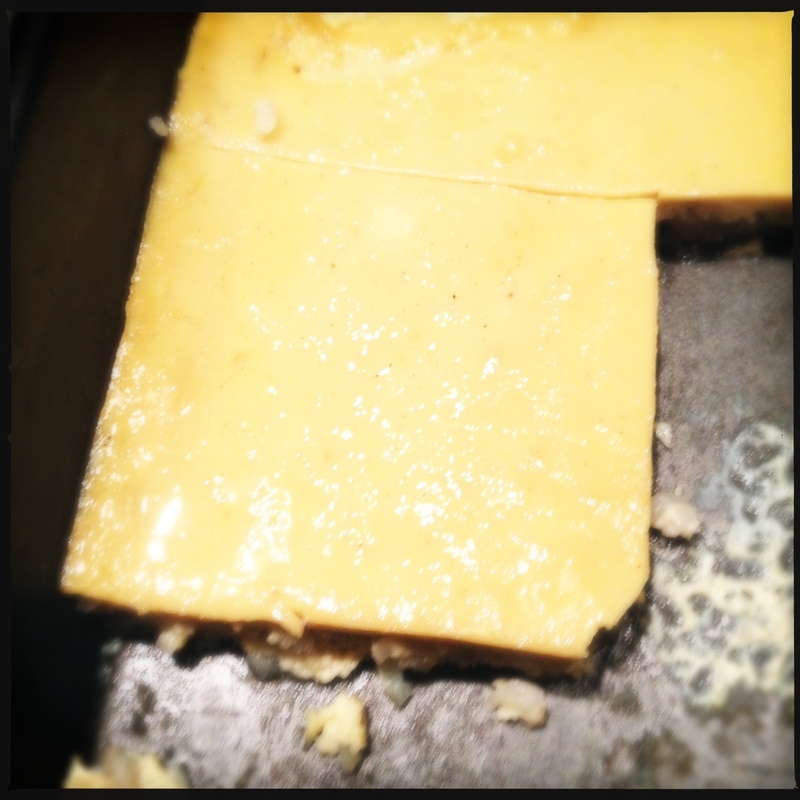 grease a 13×9 baking dish with butter. place it into a larger baking dish. 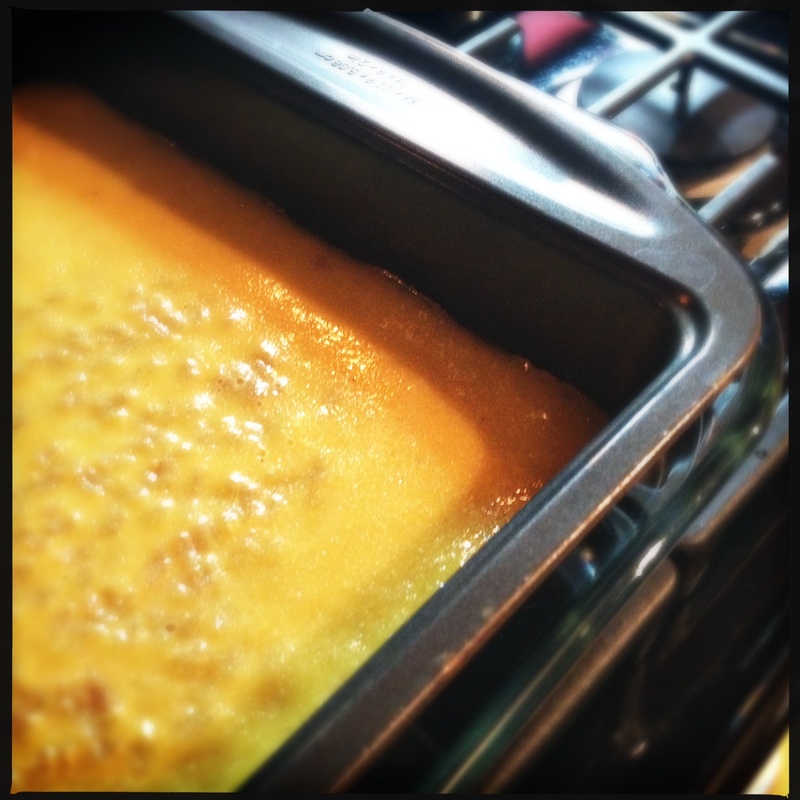 pour the custard into the smaller baking dish. 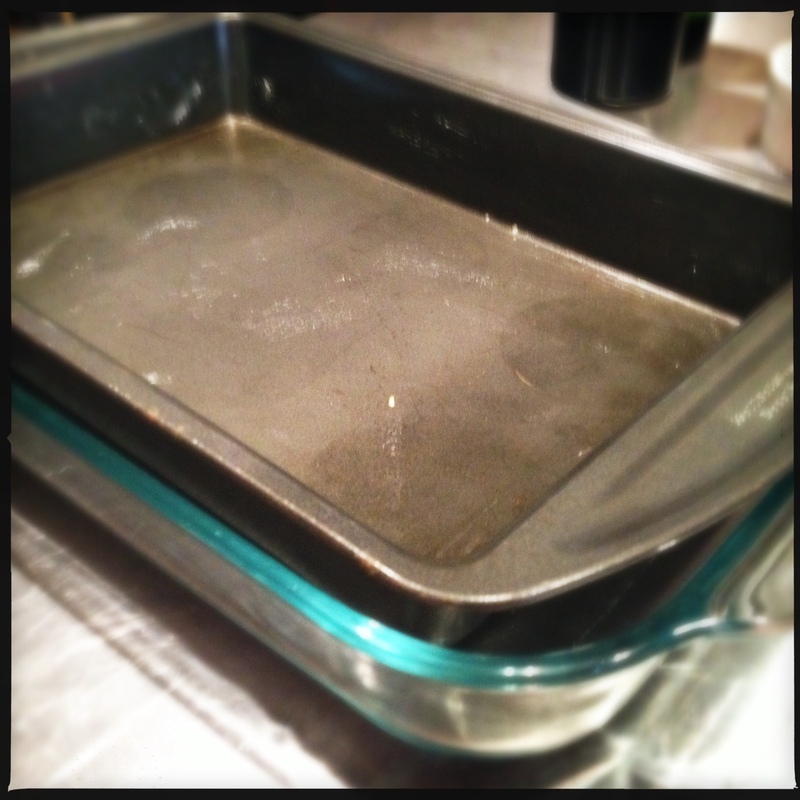 pour hot water into the larger baking dish until it’s about half way up the side. bake in a 350° oven for about an hour. stir the custard 20 minutes in, and test with a toothpick if it seems to be firming up before the hour is up. if it comes out clean, it’s done. let it cool for 20-30 minutes. 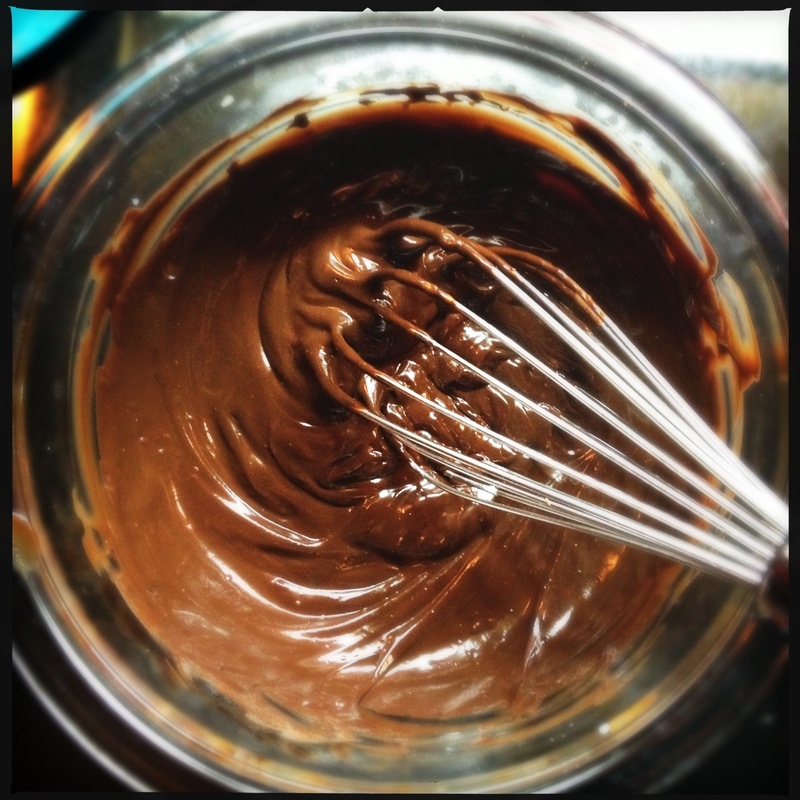 which is plenty of time to make the ganache. 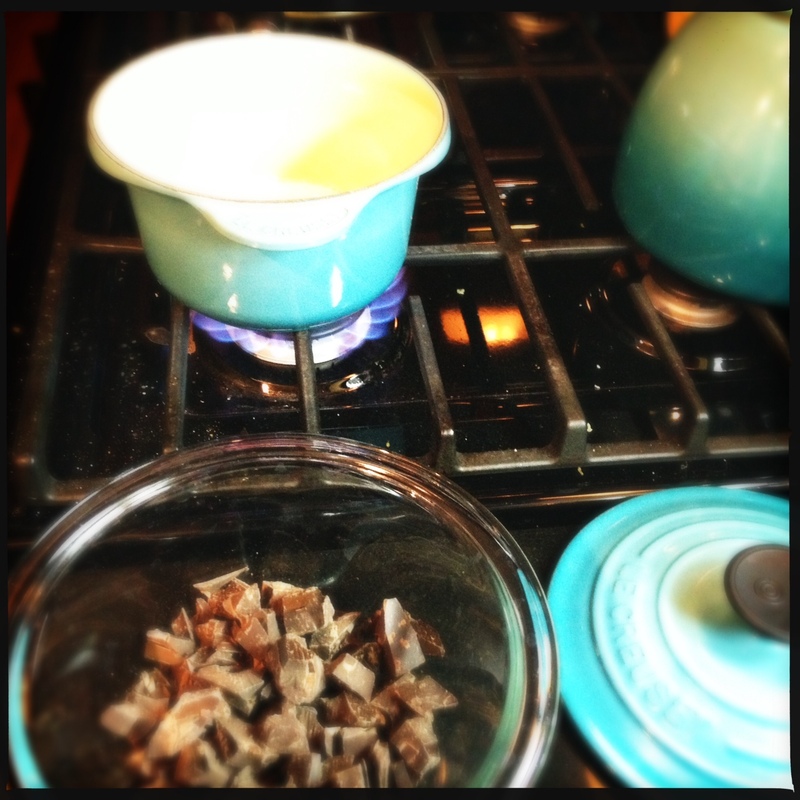 put the chocolate in a bowl. heat the half + half until just boiling. 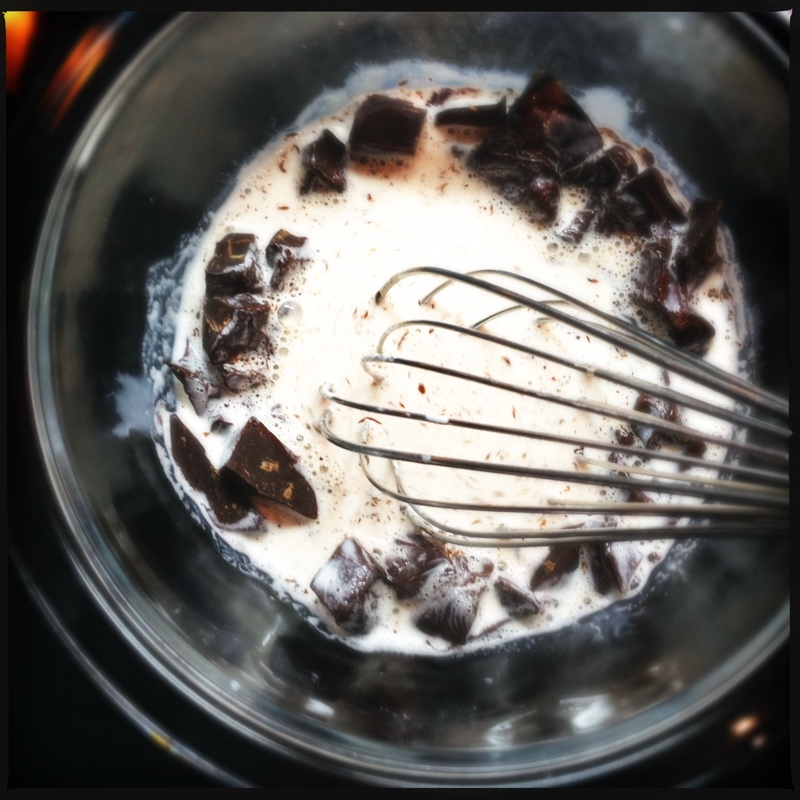 whisk it into the chocolate until smooth. heat the simple syrup a bit (can be the same pot used for the half + half), and whisk into the ganache, which should make it just thin enough to drizzle. 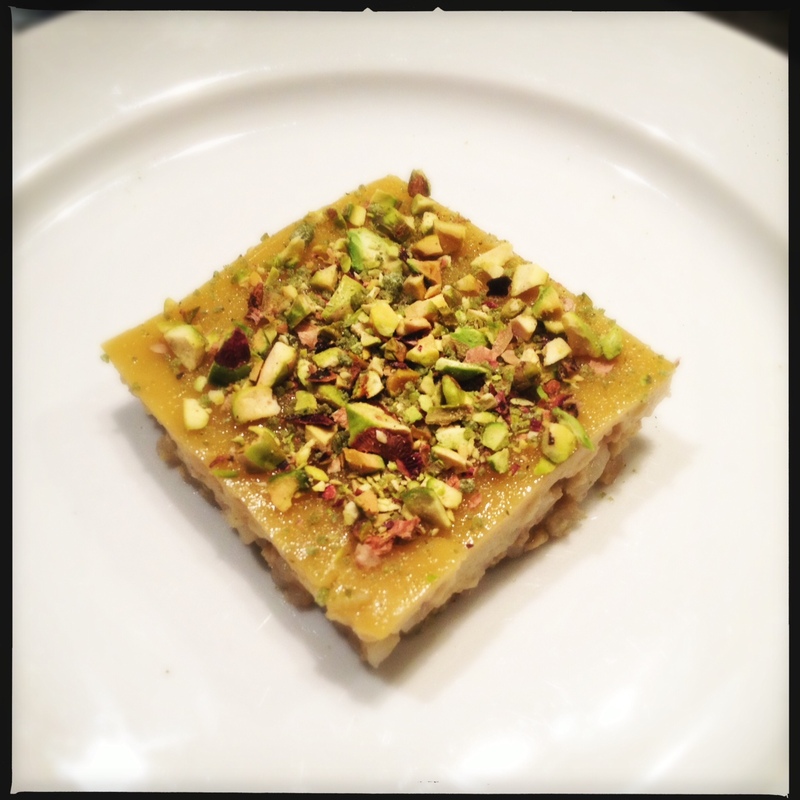 cut the custard into squares, sprinkle with ground mint crystals, pistachios, and top with the ganache sauce. you could certainly put the toppings on prior to cutting, especially if you are transporting, but esthetically it is nice to plate them individually. be green. be beautiful. happy spring! note: this recipe was created for a food bloggers contest ‘it’s easy being green‘ by marx foods. they sent me 5 samples of these green foods: bamboo rice, cardamom, mint crystals, green eston lentils, and dill pollen. 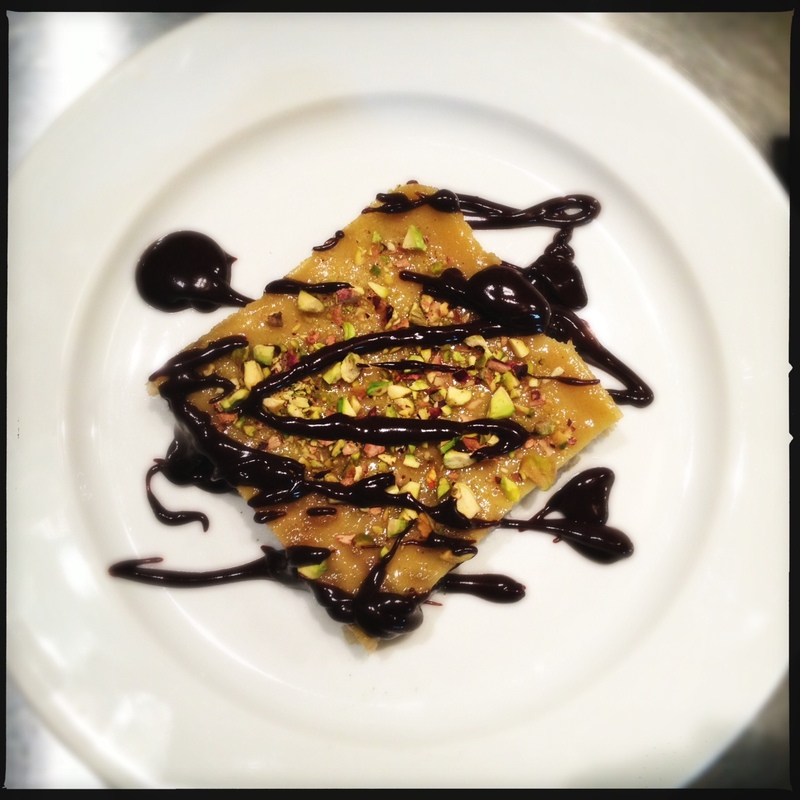 i had to make an original recipe using at least two of them, blog about it, and submit it to them. this was a lot more challenging than i thought it would be, but very fun none the less. the polls are closed. i won an honorable mention, and a mystery goodie box. thank you! love that you did nigiri. good luck to you too! thanks! i wanted to try to give the rice a little more flavor, but not sure it made that much of a difference. it seems as though we used a lot of similar ingredients. i bet your horchata would taste good with my dessert. good luck to you! Love this one! I voted for you in the internal poll! thank you! you got my vote as well!